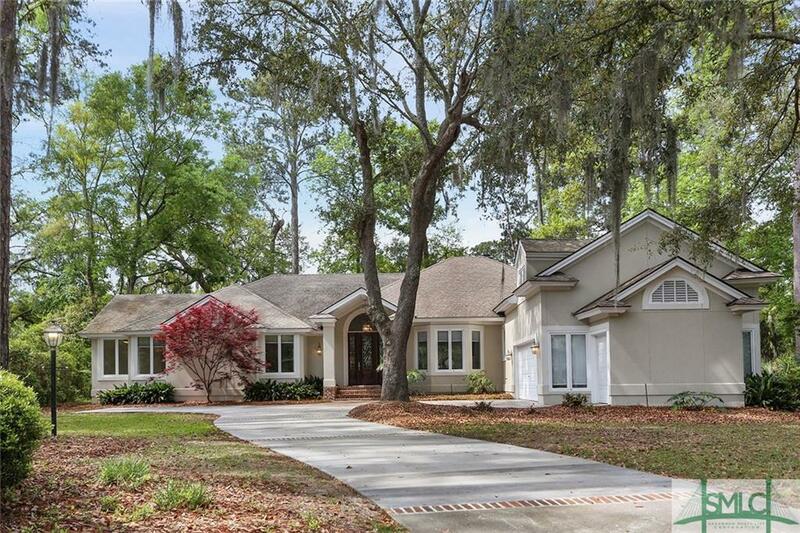 The moment you enter this home, you are captivated by the beautiful expansive golf view. This home has been remodeled and is in move in condition. Great floor plan with all bedrooms on 1st floor with a large bonus room upstairs. There are 2 large bedrooms that could be 2 Master suites. Large living areas w/great flow for living and entertaining. Family Room with fireplace and wet bar is open to Kitchen. Kitchen features granite counter tops and stainless appliances. Travertine terrace overlooking backyard & golf course. Private electric fire pit area for enjoying the evenings outdoors. Home is convenient to the Oakridge gate and to Oakridge Club & fitness center also to the new Deck and Pool at Franklin Creek. Easy maintenance on this hard coat stucco home. Home features a 2 car garage with separate golf cart door. Home is located in X flood zone.